Welcome to a web site dedicated to D M Lloyd-Jones Recordings Trust. The original trust was founded in 1982, but since closed down. 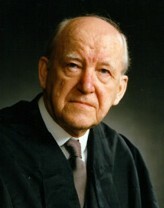 The Trust was set up to restore, distribute and promote the ministry of the late Dr. Martyn Lloyd-Jones (1899-1981). The ‘Doctor’, as he was affectionately known, is recognised by many to have been one of the finest British preachers of the twentieth century, and was minister of Westminster Chapel, London, from 1938 until 1968. His ministry was based on the clear and systematic teaching and preaching of the Bible, and it was this that earned him the respect and affection of many throughout the world. It’s our prayer that, through the ministry of the Trust, a new generation will once again discover the importance and the value of expository preaching. The Trust used to house a collection of over 1500 of Dr Lloyd-Jones’ sermons available on audio cassette, and an increasing number are now also available on CD and in the new mp3 format (see format in Albums or downloads). The Trust was engaged on the painstaking process of digitally restoring all the precious recordings in its collection. The trust was self funded and not funded by any Church or other organisation, and therefore had to rely on the funds generated by sales to keep this work going. Thank you for visiting, and do pop back soon.